When it comes to sustainable travel, hotels can do better than pass the responsibility to guests with options to reuse towels or order locally sourced food. The Andaman, A Luxury Collection Resort, does way better. 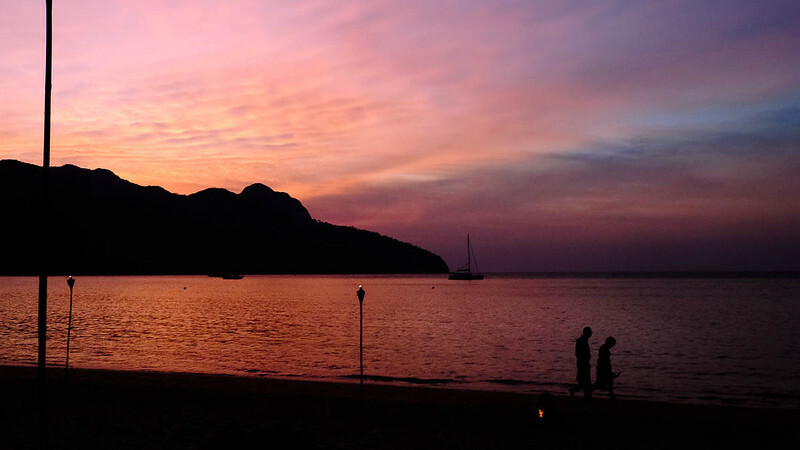 With dozens of luxury resorts fringing its shores, Langkawi is a popular destination for a tropical island getaway. I’ve stayed in several top hotels in Langkawi but The Andaman, a Luxury Collection Resort, deserves special mention for all that it does to care for its natural surroundings. Green travelers: you’ll love this place. Unlike the cloudy beaches shoring up Langkawi’s southern perimeter, Datai Bay and the northern side of the island is awash with Andaman Sea blue – brilliant against the slice of sand that is Teluk Datai Beach and the noisy, bewitching rainforest all around us. This little spot shared with just one other resort lends The Andaman Langkawi some exclusivity compared to more urbanized areas of the island, like Pantai Cenang or Kuah. I was given a Luxury Seaview Room – these are further away from the main hotel building and unblocked by the trees that grant privacy to rooms with Jacuzzi and pool access. When I stepped in, well – I didn’t want to step out! The Andaman Langkawi rooms have an organic feel and finish to to them: plenty of dark wood, warm tones, and natural textures. A fellow guest described it as “raw” compared to the plush aesthetic of other resorts on the island like The Westin Langkawi and St Regis Langkawi (both of which I’ve stayed at), but it’s a unique style that fits the resort’s brand and direction. After enjoying my welcome drink and lounging by the window for a bit, I reluctantly pulled myself away to explore the resort. Gathering at the resort’s main lobby, my group was greeted by Dr Gerry Goeden, Consultant Marine Biologist at The Andaman Langkawi. “Just call me Dr Gerry, don’t butcher my name,” he says with a wry smile. He leads us to his domain – the Marine Life Laboratory – to begin our tour. Amazingly, the Andaman Langkawi has its own marine science laboratory as well as a coral nursery. In fact, Dr Gerry and his team work with Lafarge Malaysia and Universiti Malaysia Terengganu in an academic partnership, conducting research and development of Artificial Reef Module Systems (ARMS) in Datai Bay. “Coral represents just 0.1% of the ocean but is habitat to 25% of marine species,” explains Dr Gerry. “That’s why they’re vital to the ecosystem. The ARMS are dropped into the bay, slowly restoring biodiversity and revitalizing local fishing.” As we try making our own mini-ARMS by mixing concrete and glueing on pieces of coral skeleton, I learn that these artificial bases may eventually host flowerpot coral (Goniopora). It’s perhaps the most meaningful resort activity I’ve participated in. To reward us for our labor, Dr Gerry and The Andaman Langkawi team treat us to more exotic tropical concoctions as we tour the resort’s herb garden before heading to dinner. As the team excitedly points out all of the resort’s eco-friendly features, I can’t help but be impressed. The Andaman Langkawi isn’t just “Please throw towels on the floor and leave this card on your bed if you wish to have your linens changed” sustainable – it’s “We harvest rainwater for flushing toilets, use LED lights, serve water in glass jugs and bottles, and compost food waste. Oh, and we buy 95% of our seafood locally.” That sustainable. I’ve enjoyed some lovely beach dinners, but The Andaman Langkawi went above and beyond with this stunning setup for our banquet – complete with inspiring eco-friendly touches. The next morning, our group gathered at the resort’s lobby to explore the 10 million-year-old rainforest surrounding the The Andaman Langkawi. Along a short trail, our guide from local tour company Junglewalla shared tidbits of information about the critters that greeted us. We ended up at Crystal Creek, where we sat down to a simple packed breakfast of sandwiches and fruit. The hotel can also arrange several other adventure activities in Langkawi’s magnificent natural landscapes, including spotting jungle wildlife after dark and kayaking through mangrove forests. There are so many amazing things about the Andaman Langkawi, but Jala Restaurant is particularly cool: the menu is based on the chef’s selection of locally-caught seafood, brought in local fishermen’s boats thrice a week. The open-air, linen-free restaurant also has a floor covered in sand, creating a natural yet completely classy dining experience! If you’re cynical towards the idea of “sustainable luxury”, come stay at The Andaman Langkawi. I promise it’ll restore your faith in how a good hotel – and your spending – can contribute to the local environment and community. The best time to visit Langkawi is December to April, when it’s dry and sunny. September-November are the rainiest months. Disclosure: I was hosted by The Andaman Langkawi for another story. All opinions expressed here are my own.